Less is more, as we all know, but that doesn’t mean you need to resort a 100% minimalist design in order to enjoy a clean, subtly styled bedroom – not that there’s anything wrong with minimalism, but sometimes one does want a bit more “fluff”, doesn’t one? 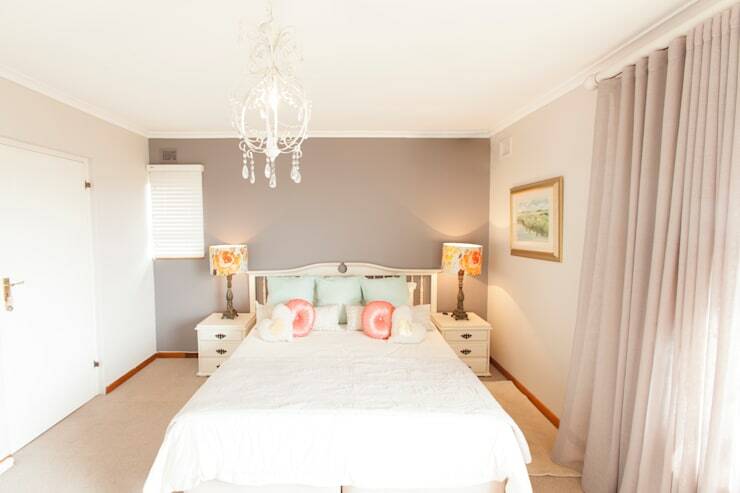 That’s why we’ve sought out these 7 bedrooms (located right here in South Africa) that show us how easy it is to enjoy a stylish and elegantly decorated space without going overboard décor- and furniture-wise. 1. A warm earthy colour palette, a few patterns and a handful of décor – and that’s all you really need for a subtly styled bedroom! 2. This room’s secret? The wall mirrors add dazzle and visual space, which is more than enough in terms of décor and furniture. 3. 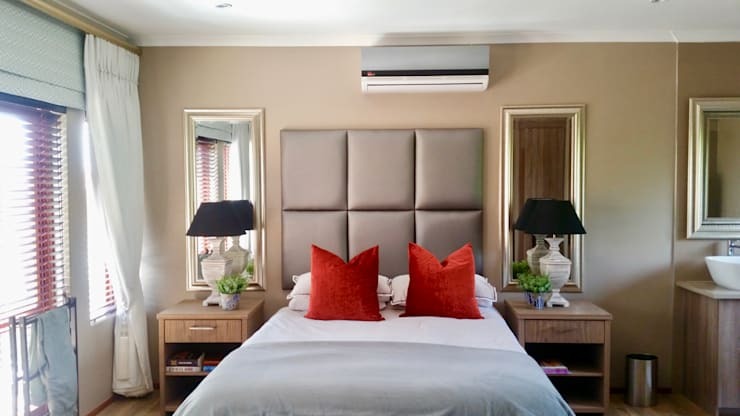 See how wood adds rich texture and striking character to this bedroom, cancelling out the need to bring in an abundance of decorative pieces. 4. One focal piece that draws attention also goes a long way, such as this striking ceiling chandelier. 5. 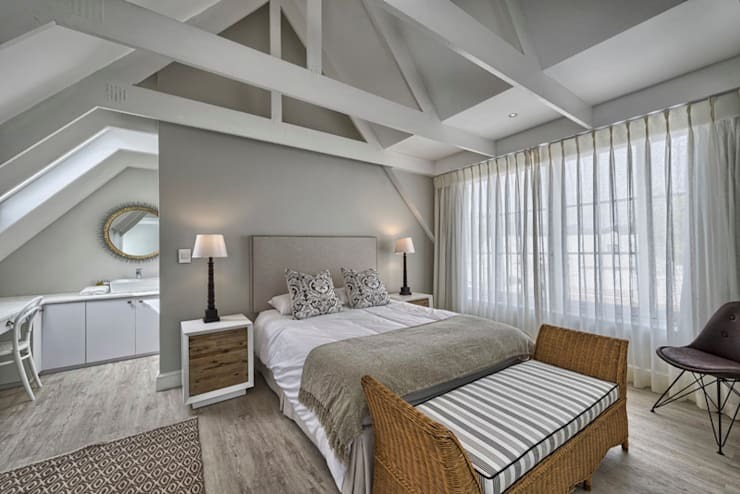 Adding in too many pieces in a space with exposed ceiling trusses is definitely wrong; see how calm and collected this bedroom looks. 6. 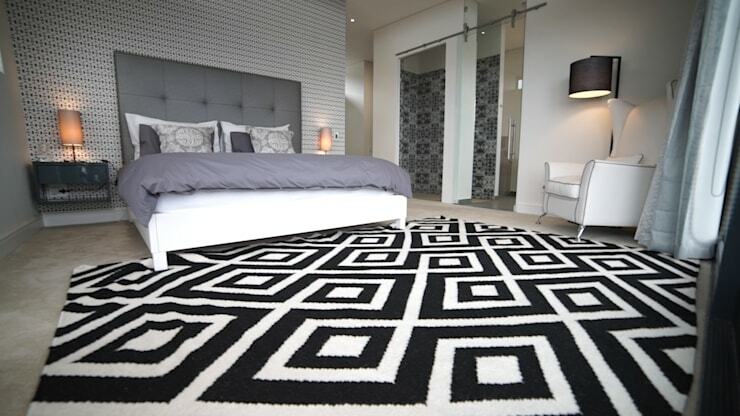 A rug and carpet? It adds layered fabrics plus introduces additional patterns and colours into the space, so why not? 7. 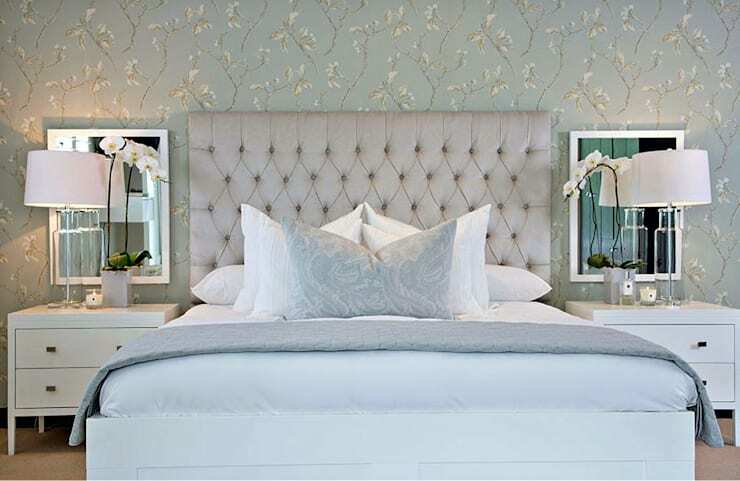 This bedroom perfectly reaches a point between ‘subtle’ and ‘elegance’ – and that wallpaper is to die for! 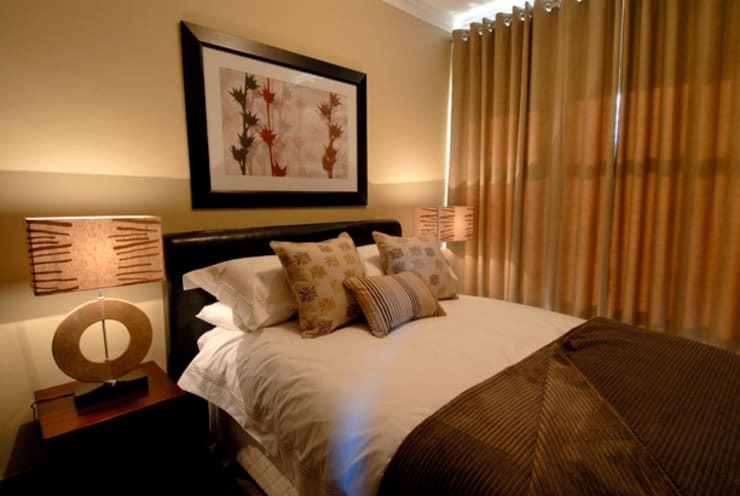 Speaking of your slumber space, let’s see How to give your bedroom a hotel look. Which of these bedrooms’ simple styles will you be copying?